Sesura Drainable pouch with standard wear barrier and EasiClose wide integrated closure offers you maximum security and discretion. The unique SenSura double-layer adhesive is permanently fixed to the pouch. To change the pouch, the whole appliance is removed and replaced. Even with frequent changes, painless adhesive removal does not leave residue on the skin and minimizes mechanical trauma. 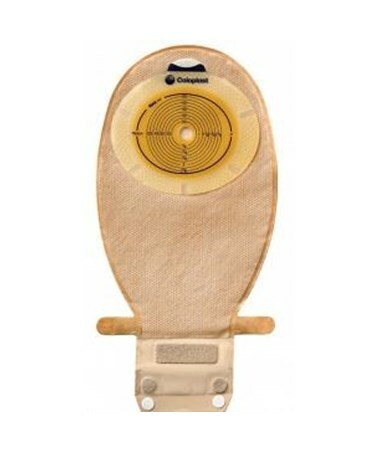 The pouch has an inspection window that makes it easier to place the adhesive correctly and to check the condition of the stoma when needed. This model features an easy release tab that is blue for visibility and soft against the skin. The pouch is custom fit and includes a clear cutting guide with circles and cutting sizes in all directions. 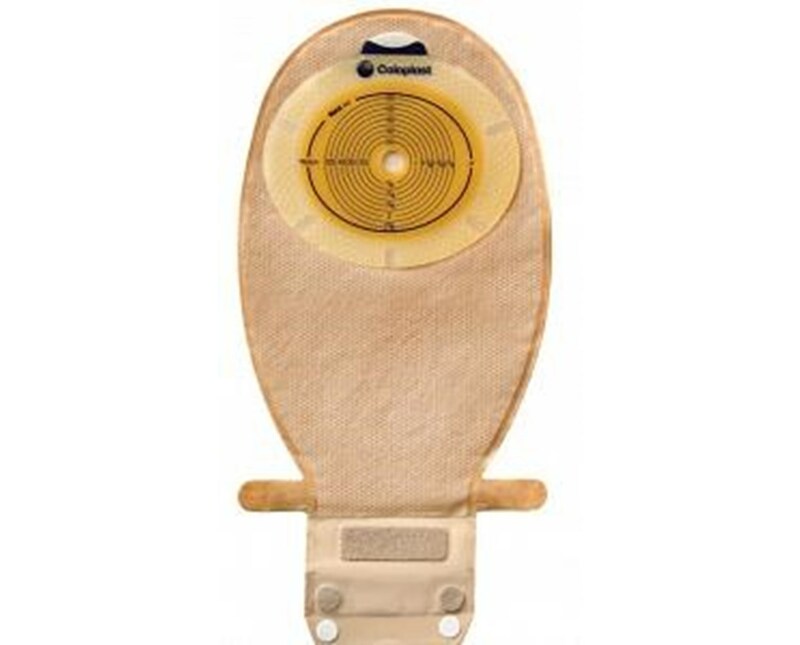 The EasiCLose wide outlet has two Velcro dots, which prevent the bottom of the pouch from getting soiled. The Sensura pouch is designed to enhance your comfort with a softer and stronger fabric that will prevent it from tearing. Easy release liner tab that is blue for visibility. Cutting guide that is clear blue with cutting circles and cutting sizes in all directions offer a custom fit. Soft feel tab is gentle against the skin and allows for easy removal. Enhanced comfort, softer stronger fabric prevents tearing. Improved EasiClose wide outlet with two Velcro dots prevents the bottom from getting soiled. Visual guide assists in proper closure of outlet (on back side).